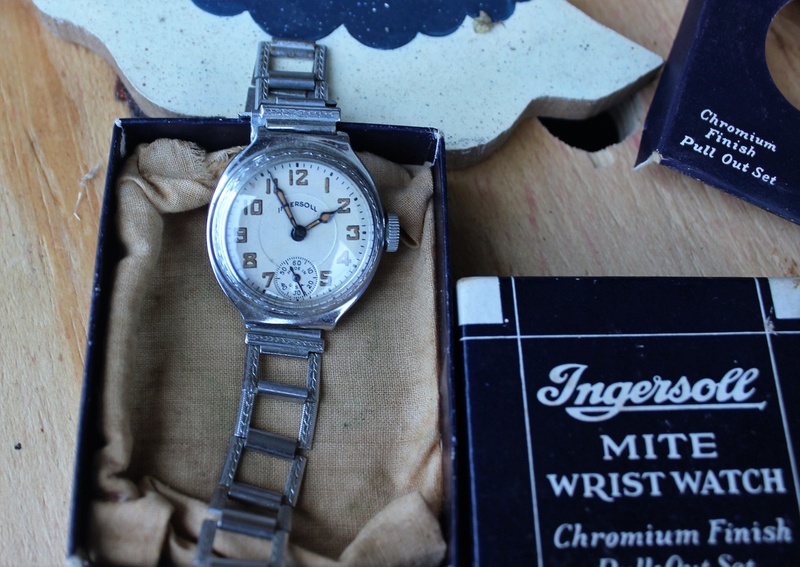 In Wristwatches > Art Deco Wristwatches > Show & Tell. Hello Fellow Collectors and Visitors. First off I apologize to fellow CW patron "vonsboy" for taking so long to post this variant. I mentioned it yesterday and shortly after saying I'd post this, a storm came through and wiped out my internet until today. 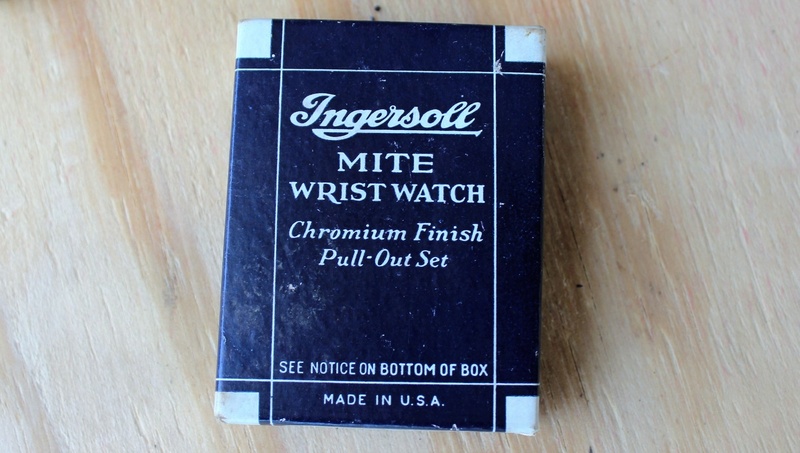 So a little late, but for "vonsboy", here's a NOS variant of a watch he had mentioned. This watch was produced by Ingersoll and is the forerunner of what series of watch would become the Mickey Mouse watches. 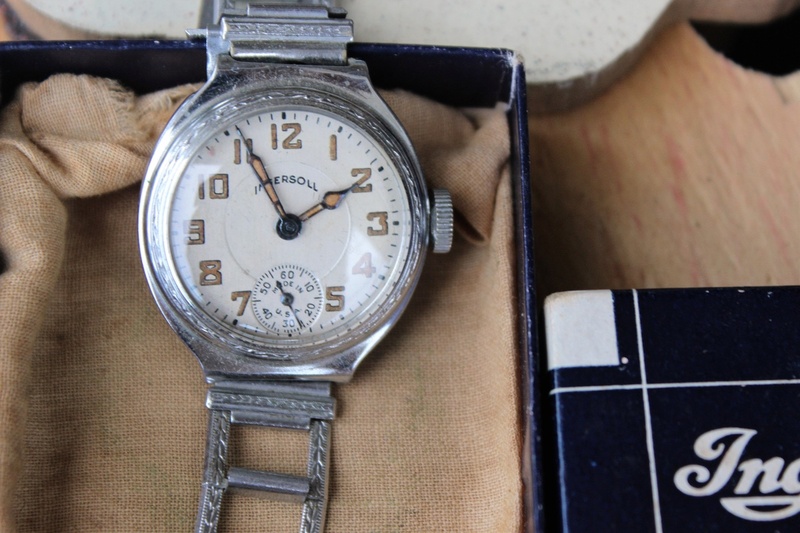 This particular watch was produced either 1928 or 29 depending on which serial # chart reference you check, but this is a late 1920's watch. 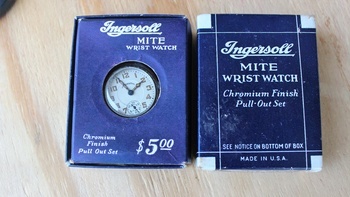 This one is "NOS" condition with all the boxing and cloth bag that came original with the watch. It was fairly expensive in comparison of the times for a "Dollar" style watch with no jewel movement. 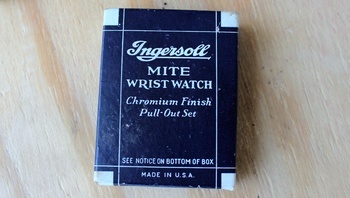 It has a solid lug casing with steel chromium bracelet and radium hands. Thanks for looking and hope you enjoy seeing this particular one. Thank you jscott363 & Nicefice for the support and complements, very appreciated!! Mickeys are there, and in mint condition with box as well! Thanks Kerry! Thank you vonsboy for the wonderful complement, always appreciated!! Thanks Phil for sharing the loves, very appreciated! !